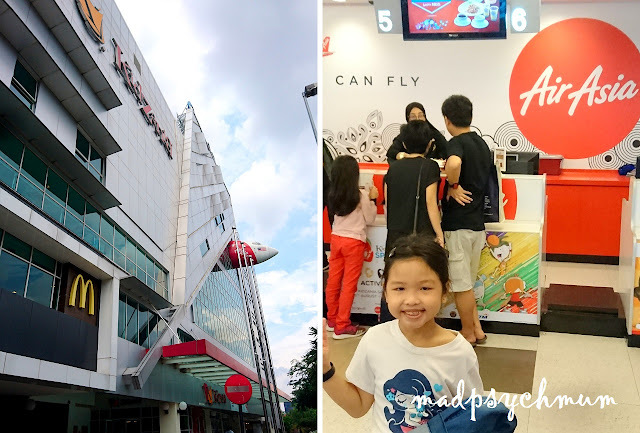 We had stayed at the Royal Chulan Damansara previously and love its close proximity to Kidzania KL and The Curve shopping mall (you can read more about the kid-friendly features of the mall here). We were previously upgraded to the Club Room (see photos of the Club Room in my previous post) because the hotel ran out of deluxe rooms; however, we were not allowed to use the Club facilities. Hence, we decided to book it this time so that we can check out the Club Lounge. The Club Lounge was pretty amazing, let me tell you. Of course it was no match for our favourite Club Lounge at Cordis Hong Kong but it's a close second. Just like Cordis, food is served from morning till evening and there is free flow of alcohol and certain drinks. I really love their quiche and desserts. The macarons were so good! Although we were already full from the food at the Club Lounge, we decided to have our dinner at the famous Fei Fei Crab restaurant. Their pork rib was so good! The food was so good that I forgot to take more pictures after that! We will definitely be back! 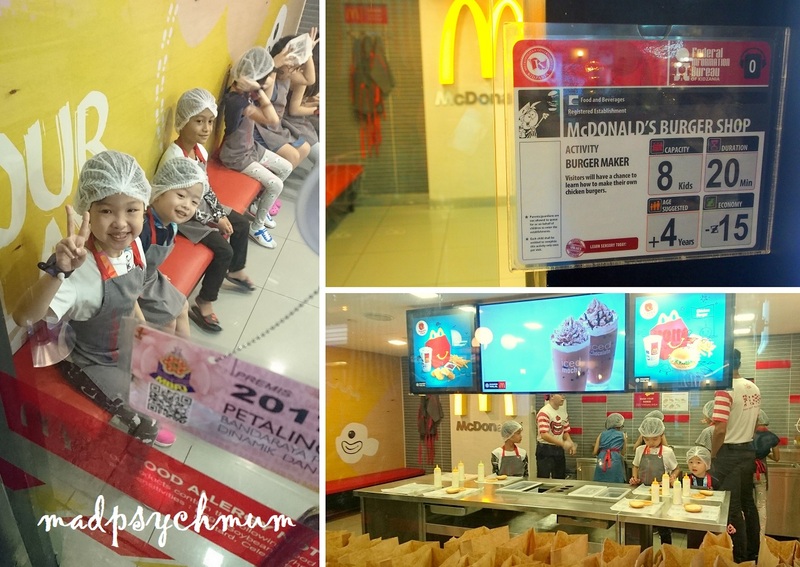 The next day, the kids and I headed to Kidzania Kuala Lumpur straight after breakfast. 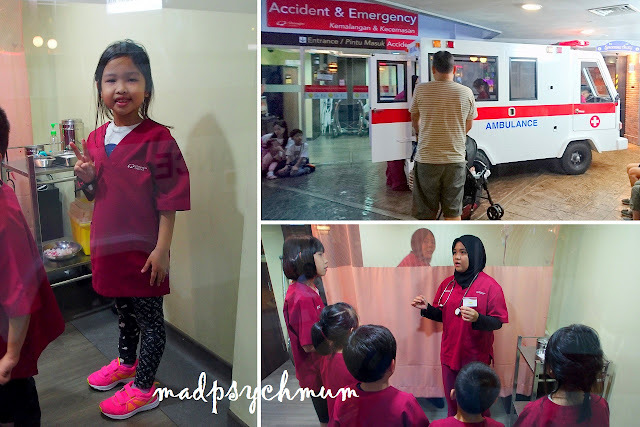 The girl and I have been to Kidzania Singapore but this is a first for the boy. 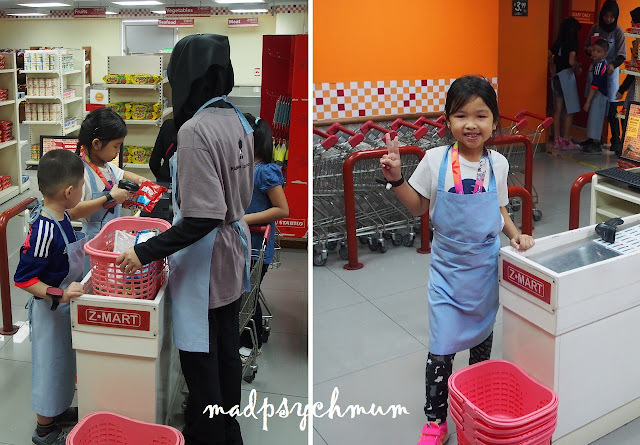 1/3 the price of Singapore - Kids 4-17 MYR 76.50, adults and toddlers MYR 36.90! To get more stamps for our B.Kidzanian CitiZen PaZZport, which is a rewards programme that allows kids to earn more Kidzos for each job. 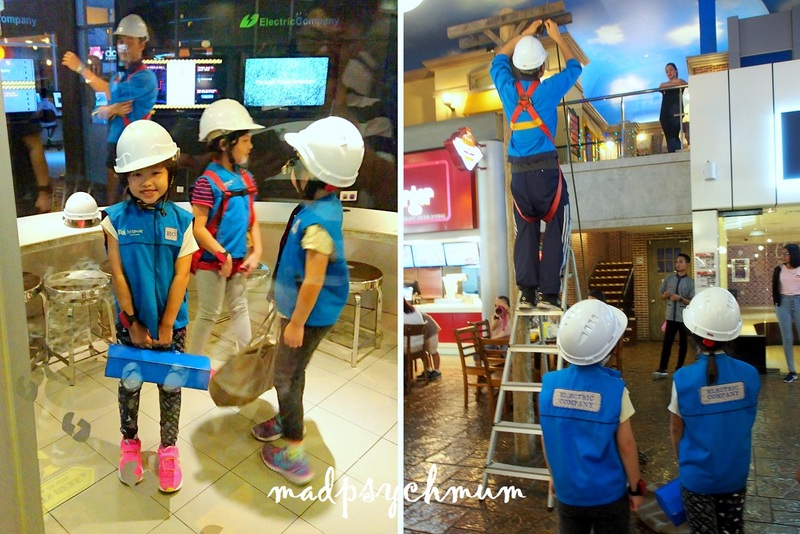 The rules of Kidzania apply to all Kidzanias in the world so if you're new to Kidzania, do read my previous post for more information. This is one of the more popular jobs at Kidzania KL that requires you to queue to get a queue sticker with a time for you to come back to do the activity (much like Disneyland's FASTPASS). It is highly recommended that this be the first stop for your kids otherwise the waiting time can be as long as 60 minutes if you go too late! This was the boy's first job so I was admittedly nervous that he will refuse to do it. The sister told me that he did tear when he saw that they were alone without me. However, I guess the excitement of being in a real plane took over and he really enjoyed himself! There are 4 jobs that you can do at the hospital: surgeon, nursery doctor, nurse and a radiologist/radiographer (can't remember). The girl wanted to be a surgeon. I got the key chain of her as a surgeon as well! Super cute! The boy didn't get to do this job because I was busy with him at the Baby Care Room. He probably wouldn't like it anyway (the open stomach of a human body may scare him). This is another very popular job that requires a queue sticker. I highly recommend queuing for this job before 11am as the queue can accumulate to 20 kids by the time it's lunch and everyone gets hungry. 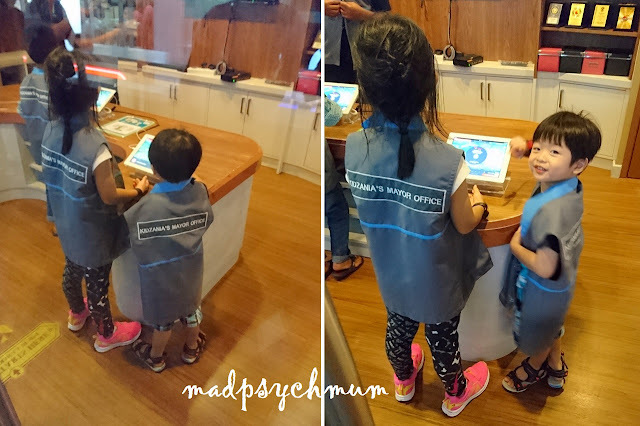 I made my kids queue for this immediately after we got the queue sticker for the Pilot training (you can collect up to 2 stickers). Excited to get started with the activity! The boy required some assistance but was able to do it. The kids really love this activity! Definitely highly recommended! The girl wanted to be a customer at Kurlz but we didn't have time. It's definitely one of those jobs we'll just have to come back to do. The girls were shy so I could barely hear their voices from the speakers outside. My girl had fun speaking into the microphone and hearing her own voice in the earphones. This job is really unassuming and the poor guy actually stood outside with nothing to do until I forced compelled the girl to try it. The other girls only joined in later on when they saw my girl inside. Simple and fun activity for easy moneyKidzos. 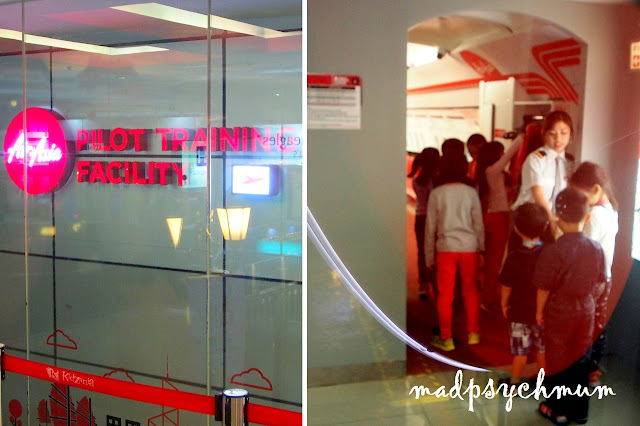 She expected it to be like Soup Spoon at Kidzania Singapore but it was nothing like it! Ah well. My boy woke up in time for this job but he was definitely too young for it! He was playing a fool most of the time, distracting his sister and disrupting the rest of the class! This is definitely more suitable for older kids, who got to learn the responsibilities of being a mayor. Initially my girl wasn't interested and only took on this job because there was no queue (again, easy moneyKidzos! *laughs*). But we later realised that the job also entailed collecting recycling bags from various establishments. That was unexpected and pretty fun for the kids. I was really glad to see that my boy was able to sit and complete the craft for at least 20 minutes before deciding that he has had enough. Definitely an activity that is suitable for younger kids. By this time, the boy had already done quite a few jobs, was tired and therefore started to be cranky. 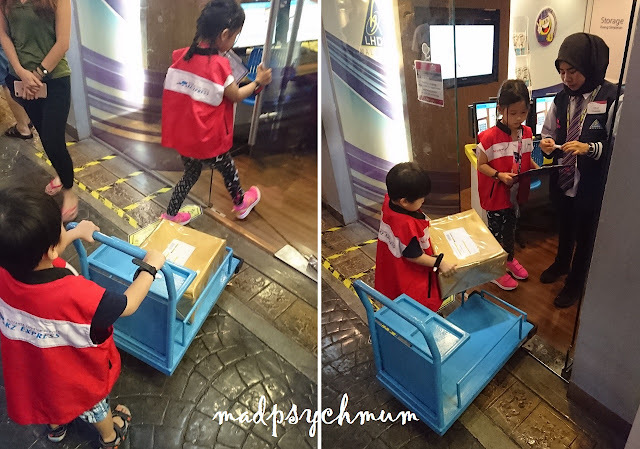 He initially refused to take on this job until he saw his sister push the cart full of boxes. That piqued his interest and changed his mind. 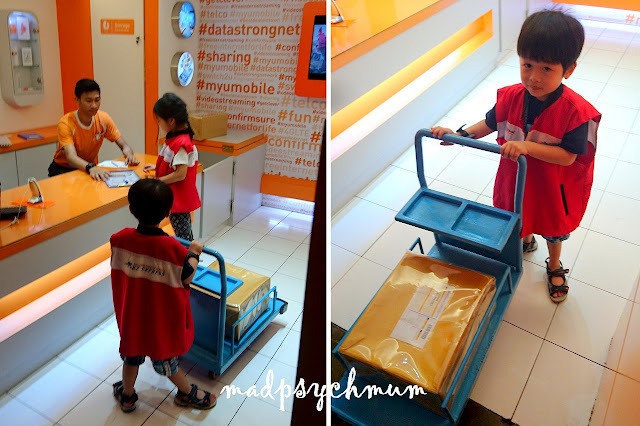 Pushing the delivery cart while his sister figures out which shop to go to deliver what. True to the spirit of Kidzania, I tried my best not to help. The brother was in charge of the heavy lifting while the sister was the one getting the signatures. So cute! The kids' last job for the day would be at the A&E because we managed to get in the queue for the second last group of the day. Both doctors and patients get to earn the same amount of Kidzos so I volunteered the boy to be the patient since no one else wanted to be the patient. Big mistake, because my boy was separated from his sister and left alone at the back of the room (behind the pink divider). Unable to see me or his sister, he started to freak out. The last straw came when they tried to put red powder on him to mimic a bruise but he thought it was real and cried uncontrollably for me! Since they couldn't find another patient as still no one else wanted to be one, the Kidzania Zupervisors had no choice but to hope that I was able to calm him enough to continue the role play. They asked me to bring him to the cinema area where he is supposed to be injured and the doctors are supposed to treat him. We waited for the ambulance to arrive and I crossed my fingers that he wouldn't fuss. He consented to allowing his arm to be bandaged only because I was carrying him. However, he simply refused to lie on the stretcher in the ambulance! In the end, another "doctor" had to take his place! Super hilarious! At least the poor boy managed to ride the ambulance! Once we had completed the job, I knew that it was time to go. It was only 1 hour to closing anyway! The girl really wanted to try ice-skating at the Royale Ice Skating Rink at our hotel but we were too tired to do it after Kidzania (it was crazy of me to even consider it!). I ended up bringing her the next day after breakfast. It wasn't as easy as it looks, as my girl soon found out. I'm proud of her for not giving up and to keep trying until she could go from one end to the other without falling. I didn't join her this time as I didn't bring along pants (not going to wear shorts and risk scraping my knee if I fell!). Will probably join her the next time.